Cuba Direct has launched a new app that is designed to help casas (guest houses) in Cuba distribute the availability of their properties to tour operators in real-time, using one single application. Due to local internet connectivity problems, homestay owners have previously struggled to manage their bookings online, which is why Cuba Direct has created an app that casa owners can use on their mobile phones without needing access to the internet. Another benefit of the app is that it stores a database of casas available and keeps it updated in real time through an sms system. The TalCasa app will not only improve the infrastructure of Cuba’s homestay market, but will also increase business for the casa owners, who can now maximise their property’s availability. 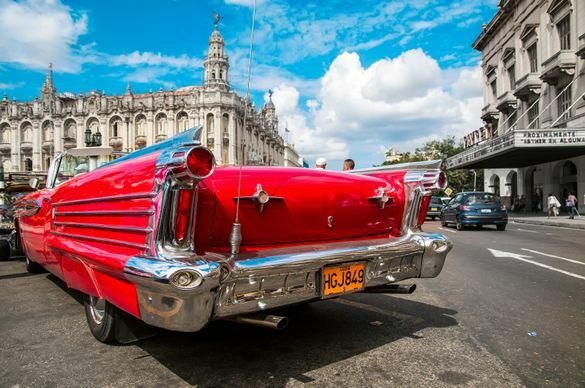 The new Harley Davidson itineraries will take customers sightseeing to different parts of the island including a visit to Old Havana (UNESCO’s World Heritage), Che Guevara’s Command Headquarters, Mausoleum and Armoured Train. The six-night tour covers 590 miles and the 8-night tour covers 808 miles all with an accompanying guide. The tours are organised by Che’s grandson who has named the tours “La Poderosa” in honour of his grandfather Ché, who called the motorbike he used to travel through Latin America “La Poderosa”, which is translated to ‘The Powerful’. This comprehensive tour, for Cuban Cigar enthusiasts, visits the Tobacco Museum and explores the Cuban countryside to learn the origins and variety of leaves. Guests can also witness a master cigar roller rolling a proper Habano, whilst learning how to select a cigar by its strength and aroma. The tour is wrapped up with a tasting of two popular cigars, with an accompaniment of Cuban rum and coffee. Travellers looking for authentic insight into Cuban culture can look no further than the Romerias de Mayo festival in Holguín. This eclectic arts and culture celebration takes place every May in Holguín, a charming city set in the lush, beautiful and less-visited East of the island. The festivities are led by the Hermanos Saíz Association, a group of young Cuban artists who celebrate and share the work of local musicians, actors, writers and dancers. Concerts, art exhibitions, debates, workshops, film screenings, readings and more take place across the city with performances from Cuban heroes and international guests alike. Events close with a lively parade; colourful ribbons are tied around trees and many revellers dress up or paint their bodies in vibrant hues.